Did 13.1 today. I was very tired and it showed in my pace. I did a hilly course which also was tough and it was windy. Not to mention the hour lack of sleep do to time change. Oh well one bad day does not matter I got the miles in. Next Sunday I have a 20 miler this will most likely be my last of the 20 milers. 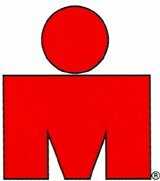 The race is April 21st so I want to start my taper about 2-3 weeks out. Back to training this week. Enjoy.